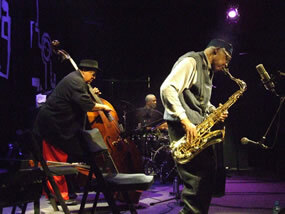 Inspiraling:Telematic Jazz Explorations @ NYU – UCSD :: June 13, 2010; 7:00 PM (EDT) :: Music Technology Program, Steinhardt School, New York University, 35 W. 4th Street, 6th Floor, New York + Calit2, University of California San Diego, 9500 Gilman Drive, La Jolla, CA. GASP Gallery Presents: STEVE LEHMAN :: March 14, 2008; 8:00 pm :: GASP Gallery, 362-4 Boylston St., Brookline, MA. RESONANCE 104.4 FM – A MONTH OF SUNDAYS :: Broadcasting a series of live programmes from the stage at The Corsica Studios every Sunday in July. In the style of Robert Altman’s recent film ‘A Prairie Home Companion’, the audience contribute to their favourite Resonancefm shows and programme-makers adapt their usual shows for the stage :: 8pm – 12midnight (doors open 7:30) :: Corsica Art Studios – Nearest Tube: Elephant and Castle :: £7 on the door.